This sound meditation contains a type of proto-language, what some people call a Language of Light. I found the tonality and waveforms of these particular sounds to be quite interesting and engaging. They are a communication to the pancreas gland, transmitting what the Hathors refer to as the sweetness of light. You can listen to this sound piece just as you might listen to any other recording. If you wish, however, to experience the sound piece as it was used during the Transmissions of Light Intensive, place your awareness in the area of your pancreas gland, which is located behind your stomach. Allow the sounds to vibrate this area of your body (your pancreas), and when your mind wanders bring it back to your pancreas gland. For a deeper energetic experience, you can repeat the track. Listening to it at least 3 or more times will allow the sound codes to penetrate more deeply into your pancreas. The purpose of this sound meditation is to infuse the pancreas gland with interdimensional energies (spiritual light) for the purpose of spiritual elevation and the illumination of your body and mind. 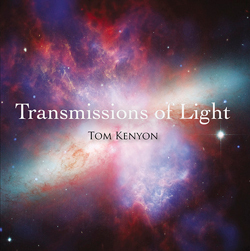 This sound excerpt is from a collection of sound meditations which were recorded “live” during a Hathor Intensive in 2011 entitled Transmissions of Light.